Steon Lighting are pleased to announce that our new showroom will be opening very soon. The showroom will house products from our three registered lighting brands: Steon, Luxace and Historix. Steon is our technical range of high quality durable LED luminaires that can be found across most of our website. Products will be on display from our interior and exterior range, including the Caparo LED, Challenger 66 LED, Orbit LED, Titan LED, and Promethean LED to name a few. Our Luxace brand features a selection of modern decorative LED luminaires, suitable for contemporary environments that require technical solutions. Alongside many others, our Globo will be on display which has been re-released in LED. Our latest brand, Historix, features a range of high quality traditional decorative luminaires. These hand-crafted luminaires have a heritage style aesthetic yet feature the very latest LED technology. 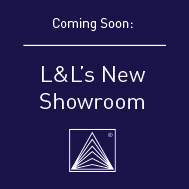 If you would like to visit our new showroom and see our latest products and LED lighting solutions, please email marketing@lampslighting.co.uk to book your appointment.